Café 21, which is operated by the charity Sunshine and Smiles, gives 14 young adults aged 18-24 the opportunity to work in the kitchen and front of house – all of whom are paid the National Living Wage (NLW). It is hoped they will gain vital transferable skills to boost their future career prospects. Roisin Prior is a member of staff at Cafe 21. She delivers food to customers, takes orders and washes up. 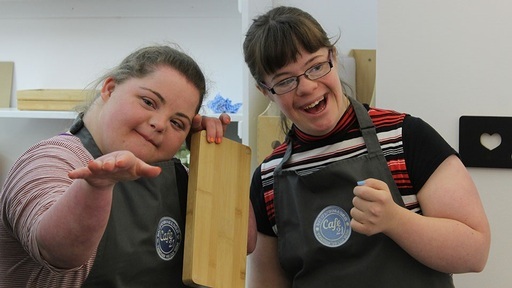 The launch of the cafe comes after national statistics revealed that only 17 per cent of all adults with a learning disability are in paid employment. The project has been funded with help from The Seedbed Trust and The Wesleyan Foundation, while Sunshine and Smiles is a charity that helps children and young people across Leeds by providing speech and language therapy, regular groups and activities, individual support and advocacy for families.